Please, N.B. 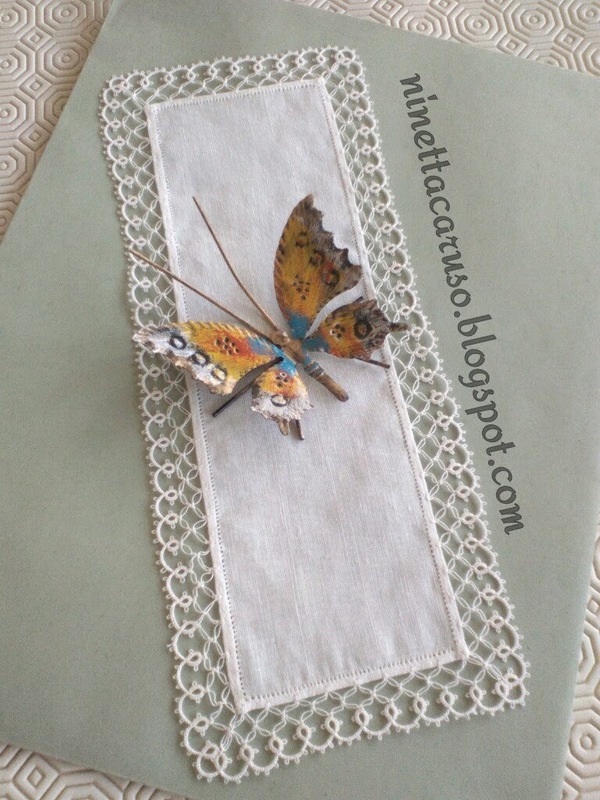 : This post is my own perspective on defining/dissecting tatting stitches through movements. My special thanks goes to Muskaan, her help has been precious to clarify the rough concept that I had in mind (and also to put it in a good English 😊). 1. Tatting has just 2 basic movements: the first half stitch and the second half. Note: Basic picots are not movements, nor stitches, they are just bare thread. 2. 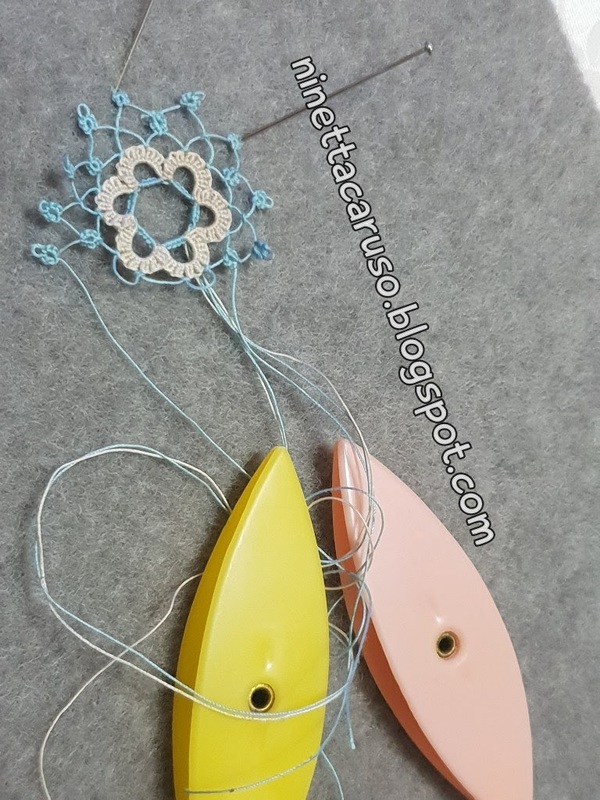 Those 2 basic movements, plus only one additional movement that is the twist, can be combined so that they make few basic techniques, that are the so called basic stitches of our lace. The twist can be done with the core thread, or the ball thread, or both. Note: Joins involve a 4th basic movement of pulling a loop and passing a thread through (that is, the shuttle for shuttle tatters and the needle for needle tatters). 4. It is due to this variability that a design can be executed in more than one way or even have a different finishing appearance. For example, a different effect can be achieved by changing only the bare threads, or the technique to make decorative picots. 5. I'm not talking about design elements, that usually means rings and lines, but there's more. Design elements can be tatted using any technique (stitches or true techniques). For example, onion rings, pearl tatting, block tatting, split rings, curled rings,... are design elements. In this perspective, reading point 2., traditional double stitch is a combination of 2 basic movements, and the treble tatting stitch combines 3 basic movements, hence it can be called stitch and is a valid basic technique. If not, so why English speaking people had the need to baptize as stitches the Lock Stitch, that is another combination of the 2 basic movements, or the Padded Double Stitches that are featuring also the twist, or Double Double Stitch? Maybe, explaining tatting in these terms, that would help other tatters to try new unexplored combinations of the basic movements. For example, what if I did only a first half and then a twist? Would it work? Has it been yet invented? How many twist? How many basic movements' combos have still to be tried? Edging tatted with "Dora Young's knot stitch", explained in her book "All new knotless tatting designs". 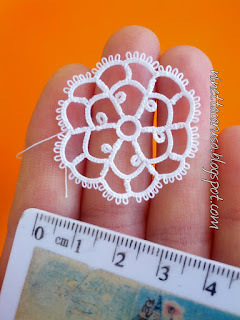 I sincerely think that tatting is still evolving and there is a set of techniques that are internationally accepted and named, while another set is subjected to different approaches, like, for example, different names for the same technique. I'm trying to explain tatting in a new way, that is moving far from the rings-and-chains definition, focusing on movements and stitches, instead. That’s nothing new, in fact also crochet and knitting and bobbin lace use the term “stitches” for their techniques. And to think that someone had called it the lost art! When I entered the Under An African Sky doily in competition, the judges reckoned it wasn't 'proper' tatting because it had techniques such as interlocking rings. I agree with you that tatting is evolving and sometimes we need to stretch our view of what constitutes tatting. I think it's exciting that tatting is evolving, and that that's what makes it far from a dying craft, so 'more power to your arm', as my sister-in-law would say! Can't wait to see the whole project!!! Nice work on the edging & rose motif, too. You go girl!!! I can't count how many times I tell people, "yes, it's tatting when you use (shuttle or needle) because the knot doesn't care how you make it." I love your ideas and how you put them into thread. Please keep sharing them and I promise to try more out in 2019.